Karen Dewey-Decker began her minor hockey career in the late 1980s wearing borrowed equipment. Few of her female high school friends played the game. She was familiar with the ice from weekly public skating with their family, but that was always in figure skates. 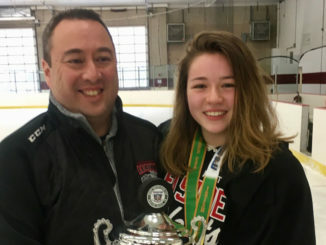 “It wasn’t that we were deprived or that anyone was keeping it from us,” says Dewey-Decker, 45, who played two seasons of house league with the Toronto Leaside Girls Hockey Association (TLGHA) before she graduated from high school. A quarter-century later, girl talk is hockey talk around Dewey-Decker’s house. 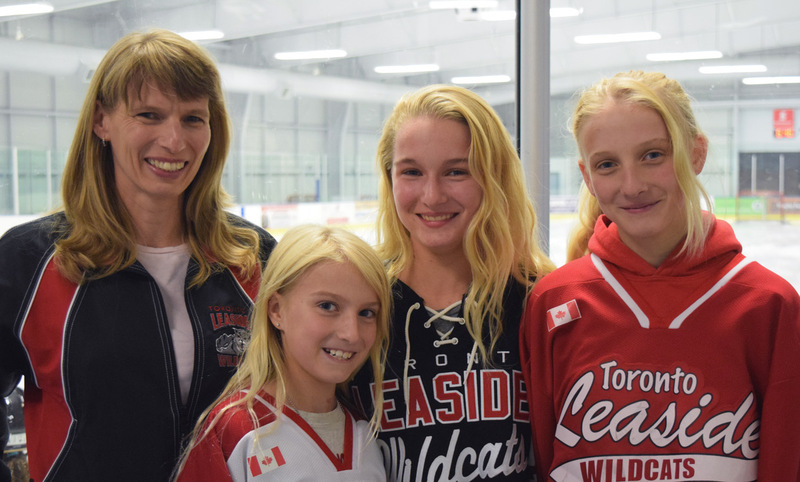 With three daughters – Jaclyn, 10, Megan, 12, and Jordan, 14, – playing for TLGHA Leaside Wildcats rep teams and Dewey-Decker and her husband, Tim Decker, sharing coaching and trainer duties on two of those squads, the rink is a second home. The TLGHA, established in 1974 with two house league teams – the Lancerettes and Blazerettes – has become the largest female hockey association in Ontario with nearly 1,500 players this season. Although based in Leaside the TLGHA draws girls from across Toronto. Its long history, solid reputation and convenient location in affluent, central Toronto help explain the big numbers. 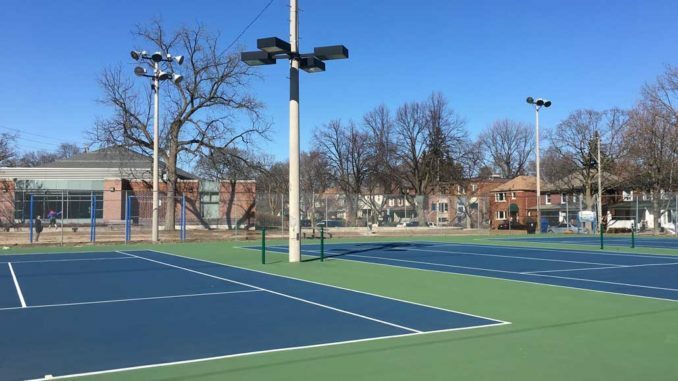 The programs range from Learn-to-Play for girls three and four, launched in 2012, to an adult women’s league. 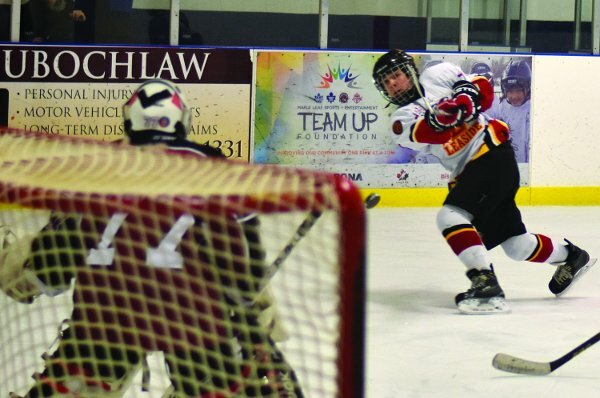 There are 23 Wildcats rep teams this season, including in the Provincial Women’s Hockey League that last year saw two players earn scholarships to play south of the border in the National Collegiate Athletic Association (NCAA), and another five head to Ontario university programs. 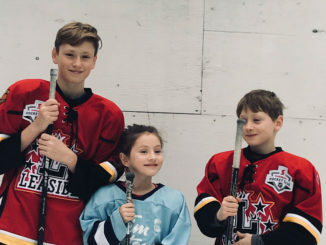 “It’s just so much fun,” says Dewey-Decker, who in addition to her involvement with the Wildcats also founded and is the director of the Withrow Park Ball Hockey League’s Girls Division. The Decker girls are part of a national trend. According to Hockey Canada, the game’s national governing body, the number of females registered in the sport across the country has increased more than tenfold from about 8,100 in 1990-91 – the season after Dewey-Decker stopped playing at Leaside – to nearly 87,000 in 2013-14. More than six times that number of boys and men play organized hockey across the country, says Hockey Canada. But while male participation levels have fluctuated somewhat according to demographics, costs, increased injury concerns and other factors, participation among females has gone continually upwards with double digit growth annually throughout the 1990s and pretty solid increases most years since. The inaugural International Ice Hockey Federation World Women’s Championship in 1990 – played in Ottawa and won by Canada over the United States – is credited by many with launching that upward trend. And the debut of the women’s sport at the 1998 Winter Olympics in Nagano, Japan solidified it. “We welcome all comers,” Smith, 47, says of the TLGHA. Leaside Hockey: It’s playoff time!